What is this 3D roulette business all about, and is it much better than a "normal" table with excellent graphics? Find out what I think about these games and where's best to play 3D roulette online in this guide. 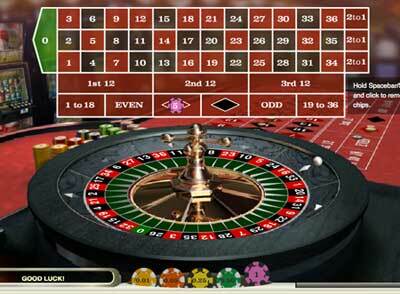 Online casinos with "3D roulette" tables. 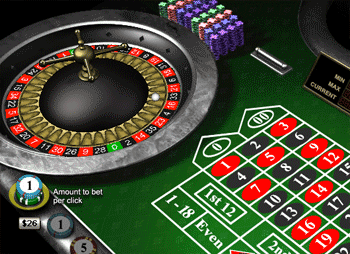 Screenshot of the 3D roulette table at Sky Vegas (it's actually just their normal version of the game, but it's just like the "3D" versions at other casinos). A bigger display of the wheel. So the idea with casinos that offer 3D roulette is that you'll get a more life-like and realistic simulation of the roulette wheel on each spin. 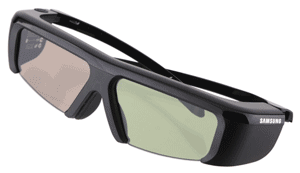 No, so you can put those special glasses you got from the cinema back in your bits-and-bobs draw. You won't be needing a pair of these. When these casinos say "3D" they mean it in the old better-than-average graphics sense of the word, rather than the actual jump-out-of-your-screen-and-in-to-your-face version. How does 3D roulette compare to normal roulette? To be honest, I'm perfectly happy with the standard roulette table designs and graphics. The 3D roulette tables aren't so spectacular that you'd feel compelled to play them over the normal version, and I certainly wouldn't up sticks and move to a different online casino for it. There's not a lot of difference between a realistic "normal" wheel and a "3D" wheel. In fact, I much prefer the realism and clarity of some of the better standard tables than I do of the so-called 3D tables. Is there a worthwhile difference in graphics between the two? I wouldn't say so. The one on the left is the 3D table at Unibet and the one on the right is the normal one at Casino Titan. Most realistic online roulette wheels. If realism and clarity is what you're after when you're watching the ball bobble around the virtual roulette wheel, here's my ranking of online casinos based on these two factors. These ratings are for the normal versions of roulette at each casino, not the 3D versions (if available). It's awesome fun playing roulette at Casino Titan because the wheel spins so realistically, and it's not even classed as a 3D table. If you're after the absolute height of realism then you should check out the live dealer roulette games. The video camera feed can be a little slow and pixelated, but you won't get any more "real" than that. Advantages/disadvantages of playing 3D roulette. There are no disadvantages to playing 3D roulette, but at the same time there's no advantages to it. The odds and payouts are exactly the same. The probability of winning and losing is exactly the same. The house edge is exactly the same (assuming you're always playing European roulette). The only difference is the design and graphics for the actual roulette wheel. You don't tend to see racetracks or call betting options on these 3d tables though, so I guess you could call that a disadvantage if you're in to that sort of thing. But aside from that there's absolutely no difference between the games. If you're after something different and interesting, try 3 wheel roulette instead.